I hope you are had a great weekend~ They sure go fast, ha? We had a great weekend filled with lots to do as usual. We had some cool temps, only in the 40's but sounds like we will back in the 70's by mid week, yay! Bring it on, hehe! 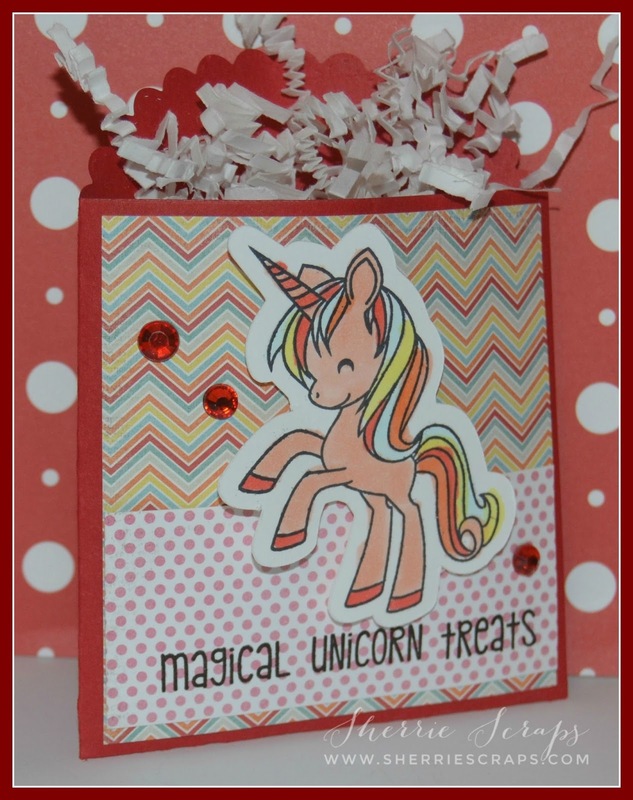 adorable Unicorn & Glitter stamp set for the darling image and sentiment. I cut a red panel for the base layer. I then followed with a layer using the Spellbinders Card Creator A2 Valiant Honor die. The pattern paper is MME Happy Day. 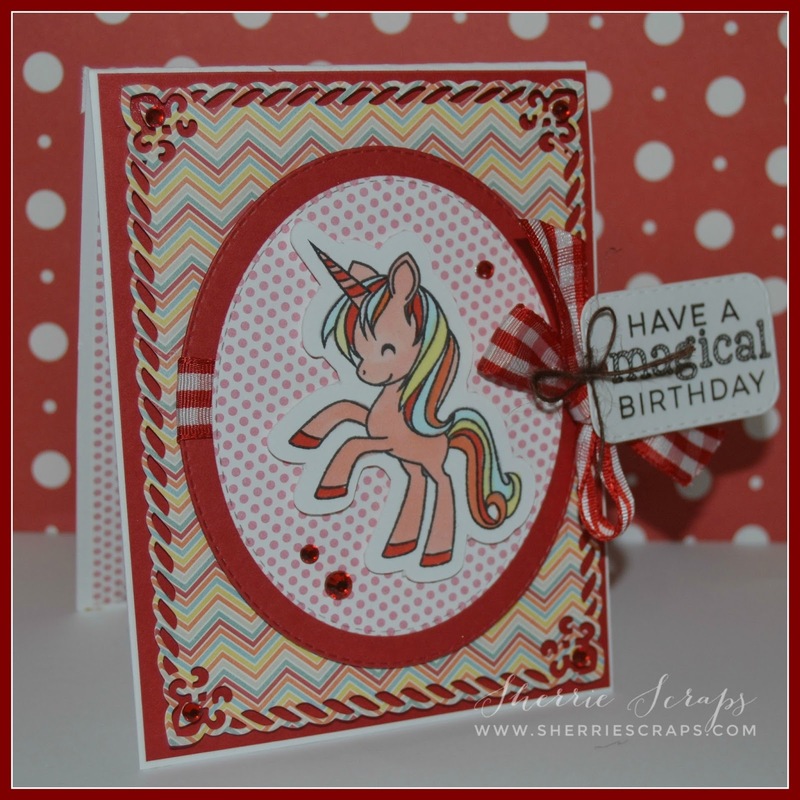 The sweet little unicorn is colored with copics, wink of stella and then adhered onto My Creative Time's Scalloped Stitched Oval Dies. I added a pretty ribbon and fun tag that is created with Jaded Blossoms Mini Tag Dies 2. The treat bag is My Creative Time's~Stitched Treat Sleeve Die~I used coordinating papers for the treat bag. 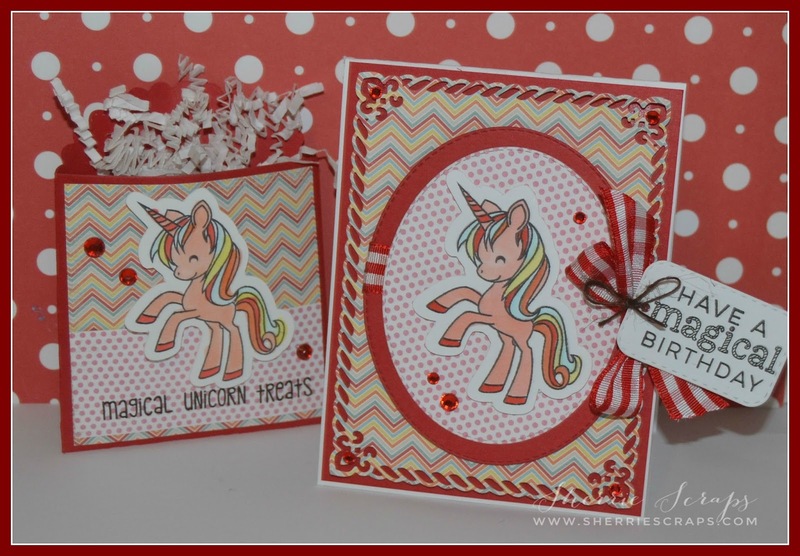 The unicorn and sentiment again are created using Jaded Blossom Unicorns & Glitter stamp set. How cute! 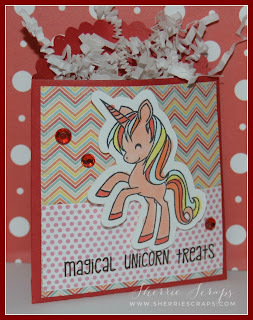 I love the die cut mat and how you colored the Unicorns mane and tail to match the colors in it! OMYGOSH!!!!!!!!!!! This is soooooooooooooo fun! LOVING that unicorn!! And can't wait till Sept. to see you again!!!!!!!!!!!!!!!!!!!!!!!!!! That is one cute unicorn. Can't complain we have the most gorgeous weather here, I'm leaving for vacation today and be back on Saturday. Will be taking a break from blog land this week. Awww this is so cute!!! I love that adorable unicorn! Great papers, so fun and colorful. I think the little treat bag is a perfect compliment to this adorable card. And yes we have about the same type of weather as you, only we are experiencing tons of rain. It has rained the past 3 days and from the forecast, Looks like we are expected to receive a lot more over the next couple weeks. Anyways, I hope you are enjoying your Monday my friend! Oh my gosh, this is the cutest gift set, Sherrie!! I love the unicorns!! You colored them beautifully!! The papers you used are perfect!! The ribbon and sequins are fabulous touches!! I just adore these my friend!! They totally make me smile!! Oh so CUTE Sherrie! Wonderful little gift set! LOVE that Unicorn from Jaded Blossom - It's on my "must Have" list! Your card design looks fabulous! One magical gift set you have created. Your coloring is perfection. Love it. What a magical gift bag and card set! 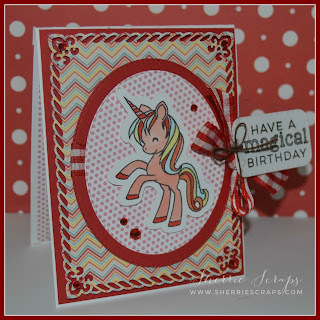 I adore the unicorn theme and those gorgeous papers and patterns you used! Such a bright and cheery set, love it to pieces! What a super adorable set!!! Love the unicorn and the gorgeous colors!!! Have a great day. Sounds like your weather is similar to ours. We even had some flurries on Sunday! Ugh! Your card and treat bag are adorable! That unicorn is so sweet! I love that gorgeous frame too!! The unicorn image is absolutely precious!Super cute treat! !Such a darling set! !Awesome job my friend!! Absolutely adorable set! Love the unicorn and the fun patterned papers. Thanks so much for joining us at Seize the Birthday! Your Card and gift bag are Adorable! My Grand Daughter loves Unicorns. Glad she won't see this. She would be wanting me to make her one. The little girl Is going to love It. We have been having cooler weather to and I have been loving It. O.K. besides the few times I said I was freezing. Hee! Hee! But going to be In the 80s tomorrow. Hope your having a good week. I off work for the next two days so I'm pretty excited. 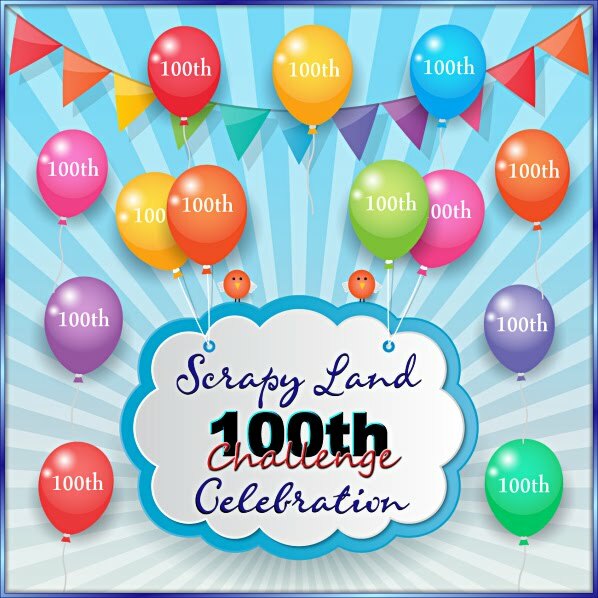 Will get to spend some time crafting. Oh this is so cute, I just love that unicorn! How FUN! I always love your treat sets, they turn out so awesome! Your unicorn is so cute and magical I am sure some little sweetie will love getting this one. I just love the colors . 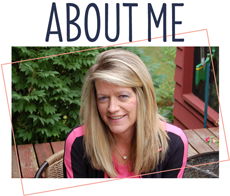 Sherrie, you are just rocking these projects! This unicorn is too cute! Love it!! 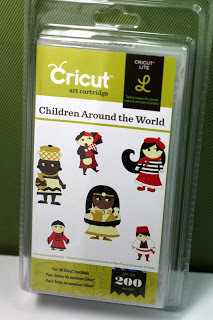 Thanks for linking up your project this month!! Aww super cute and she is one adorable unicorn:) Thank you for joining us over at Decorate to Celebrate!! What a sweet, sweet little gift set! Unicorns are so popular right now and this one is just darling. 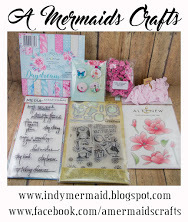 I love the pretty papers, fun layers and sequins. This is perfect!